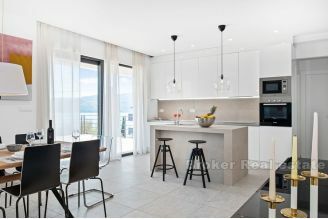 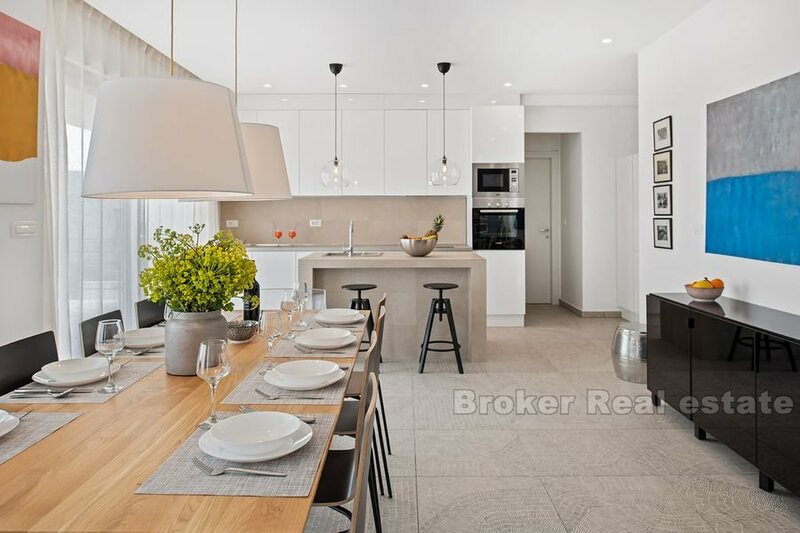 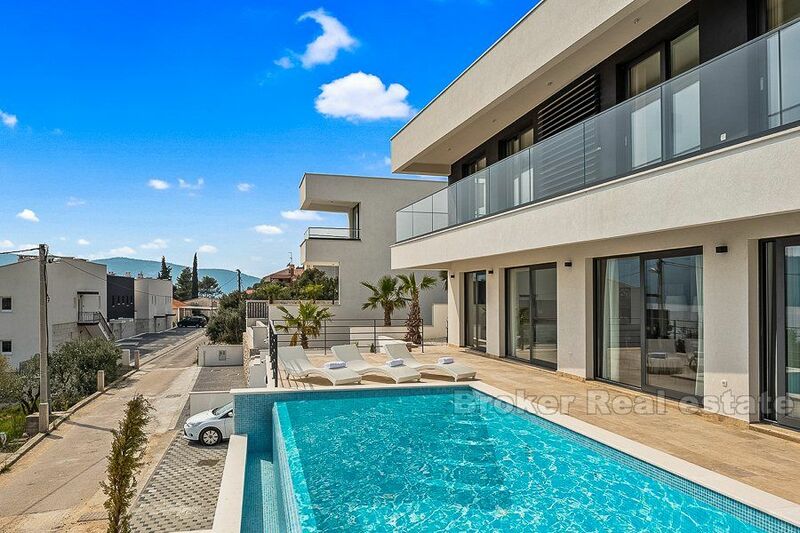 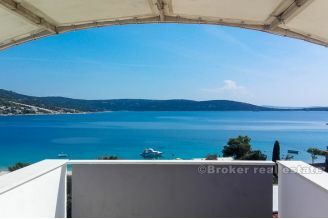 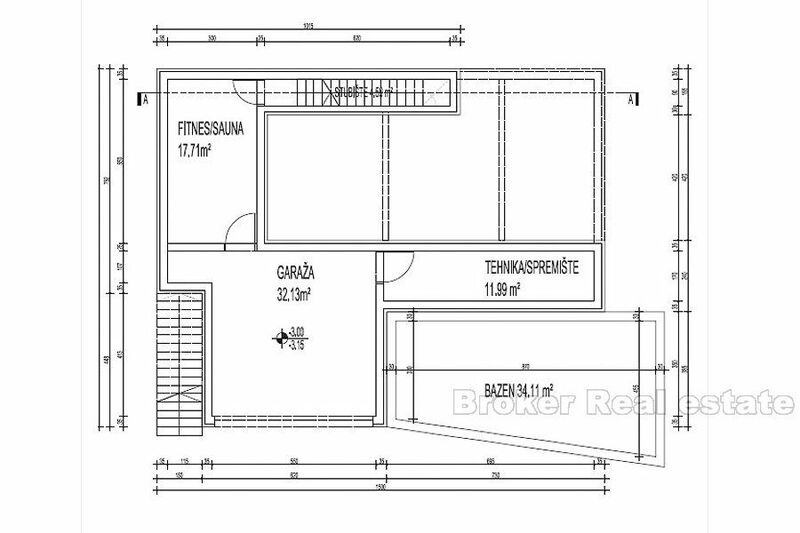 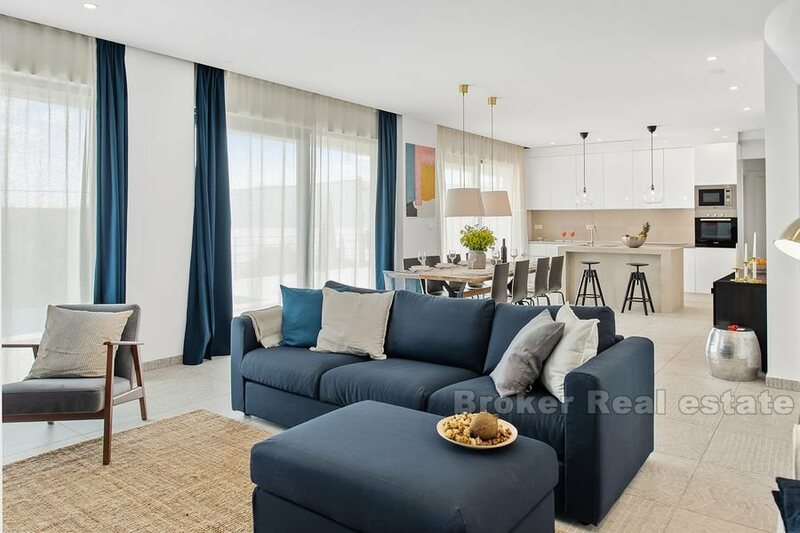 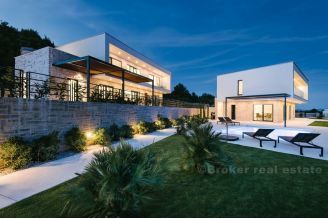 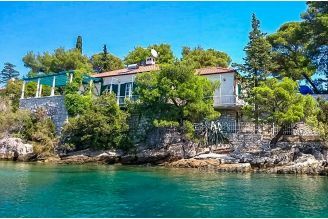 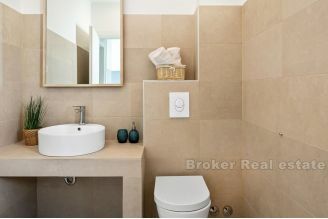 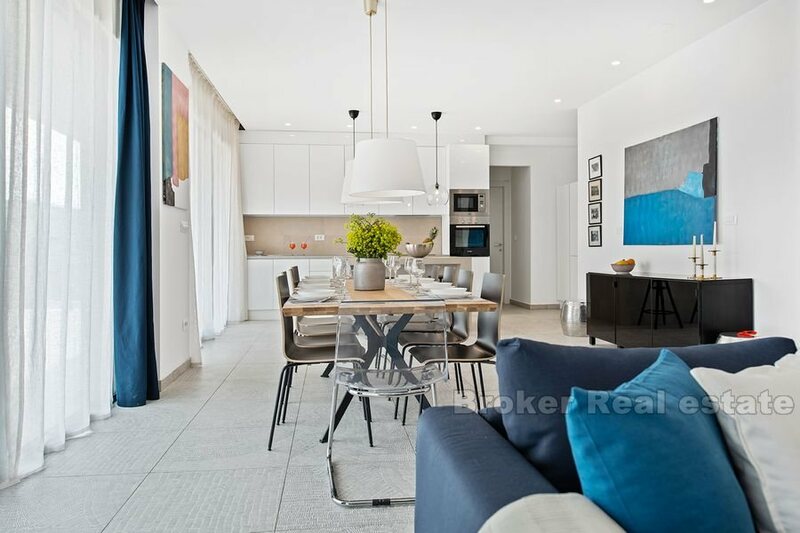 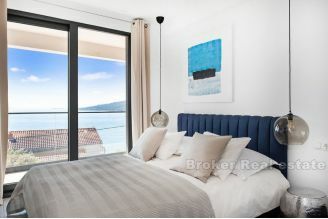 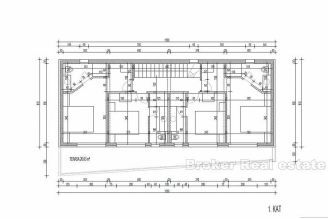 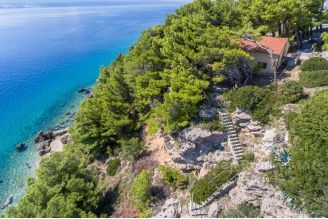 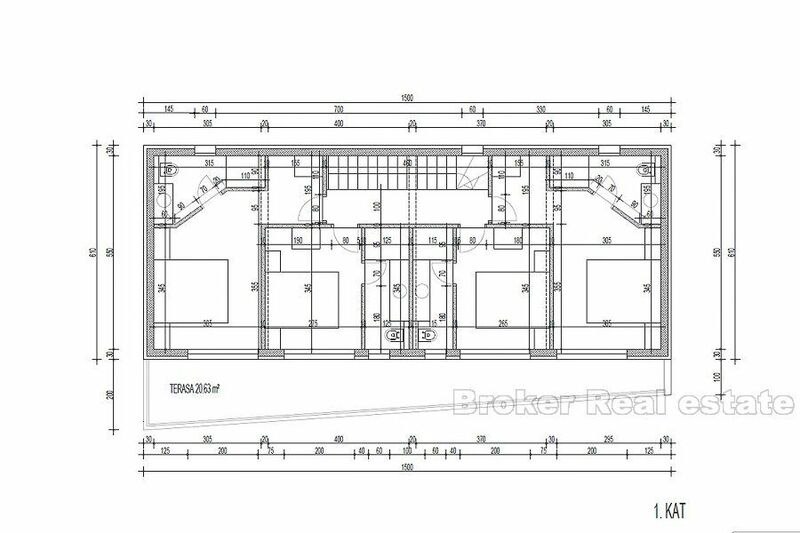 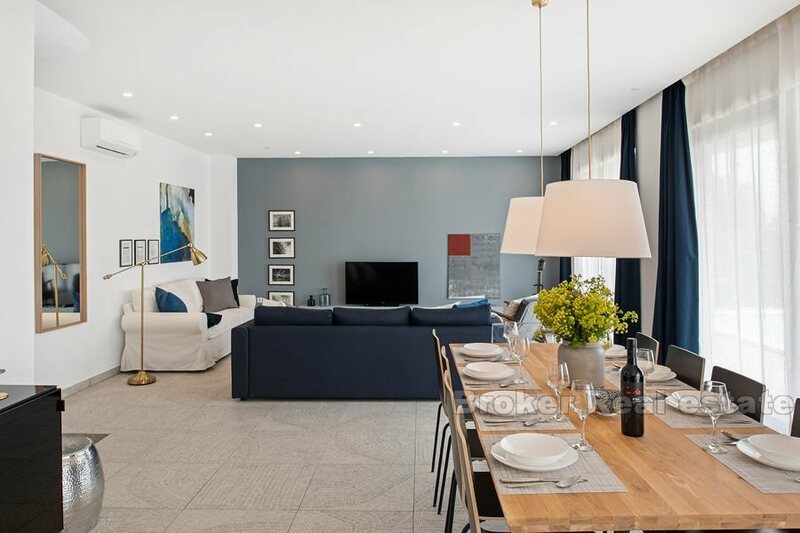 Modern, newly built villa of with south orientation, located in a small Dalmatian place near the popular town of Trogir, with a beautiful view of the sea and the surrounding area. 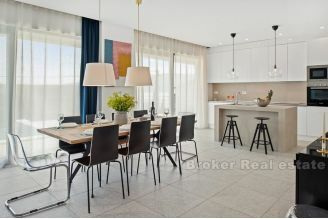 During the construction of the property, top materials and equipment were used, while the property haa a connection to the city water supply and electricity. 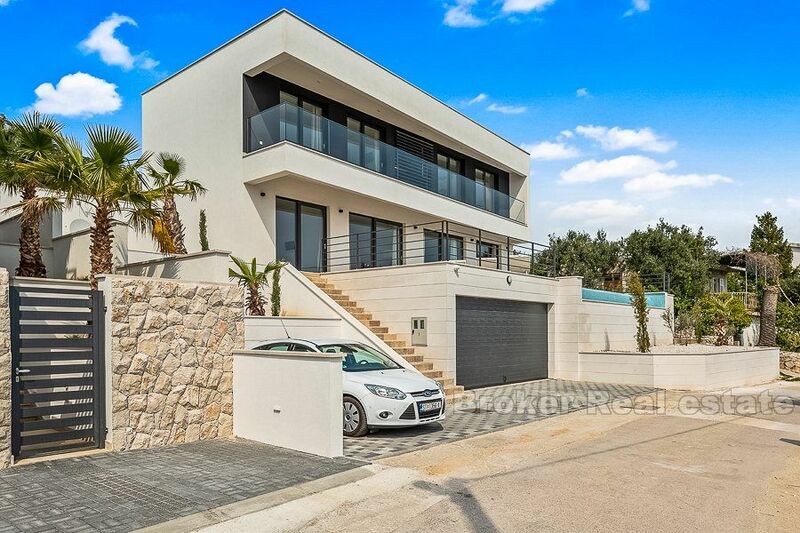 The villa is placed on a plot of 444 m2, covering a total of 252 m2 of living space, with three floors. 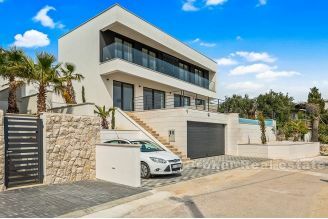 On the ground floor of the villa there is a garage for two cars, 62 m2, as well as a technical room. 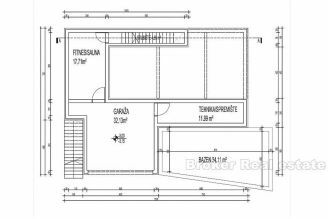 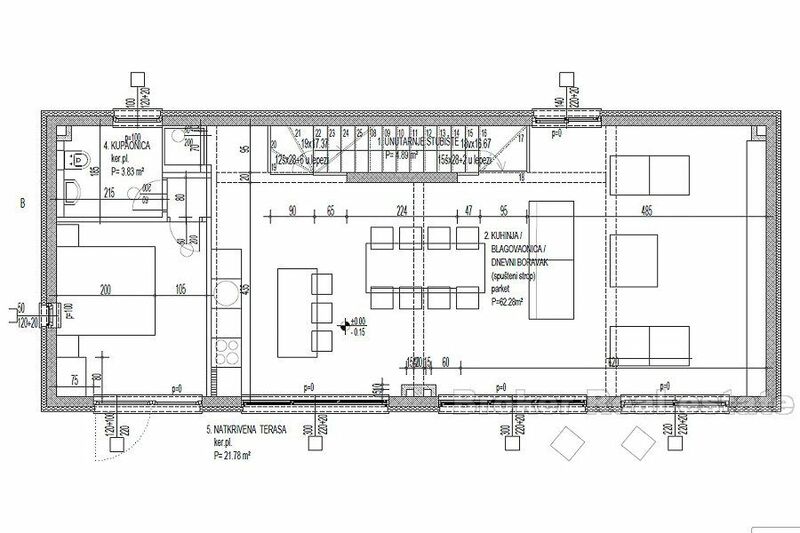 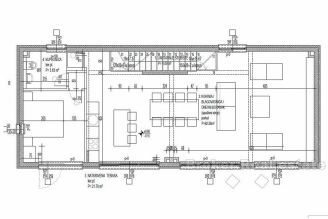 On this floor there is also an additional room with bathroom, which can be converted into a fitness room. 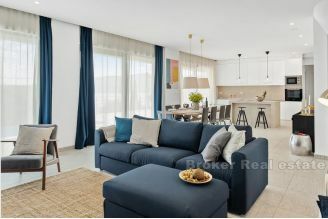 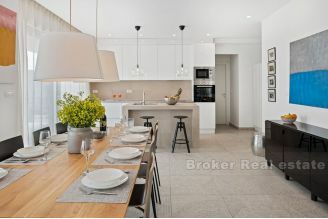 On the first floor there is a open plan living area, as well as a terrace with a beautiful, open view. 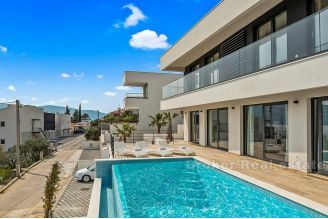 From the living area is the exit to the terrace where is a sunbathing area with an infinity pool of 34 m2. 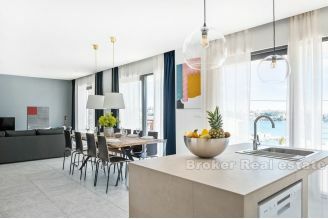 On the second floor there are four bedrooms, each with its own bathroom and sliding doors to exit to the terrace, which offers a beautiful view of the sea. 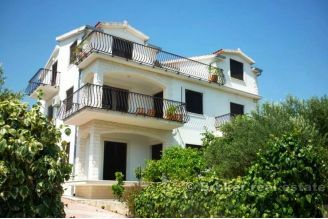 An interesting property with plenty of potential, which can be used for personal purposes or as a tourist rental. 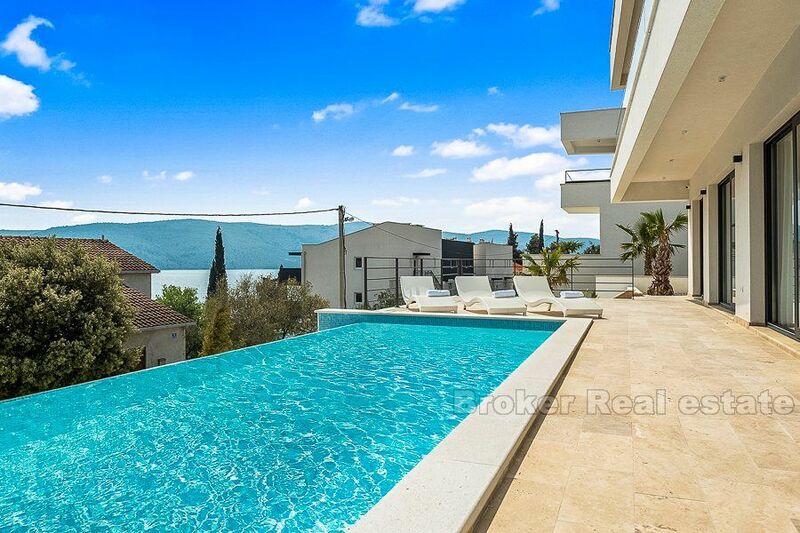 Close to the center of Trogir, as well as Split Airport.